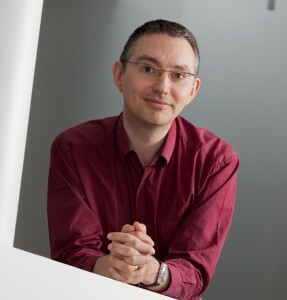 Rémi Gribonval is a Research Director (Directeur de Recherche) with INRIA in Rennes, France, and the scientific leader of the PANAMA research group on sparse audio processing. In 2011, he was awarded the Blaise Pascal Award of the GAMNI-SMAI by the French Academy of Sciences, and a starting investigator grant from the European Research Council in 2011. He is an IEEE fellow and a EURASIP Fellow. He founded the series of international workshops SPARS on Signal Processing with Adaptive/Sparse Representations. Since 2002 he has been the coordinator of several national, bilateral and European research projects. He has been a member of the IEEE SPTM Technical Committee and of the SPARS steering committee. Rémi Gribonval was a student at Ecole Normale Supérieure, Paris from 1993 to 1997. He received the Ph. D. degree in applied mathematics from the University of Paris-IX Dauphine, Paris, France, in 1999, and his Habilitation à Diriger des Recherches in applied mathematics from the University of Rennes I, Rennes, France, in 2007. Campus de Beaulieu, F-35042 Rennes cedex, France.